It's been a while since I've been able to participate in a card challenge. As I was working on cards for my April card workshop, the idea for this card for the Color Dare challenge popped into mind. 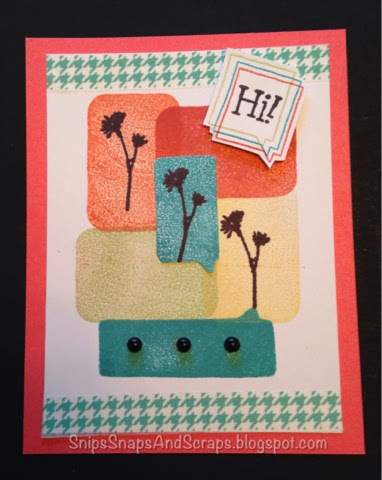 It was inspired by Toni Hinchcliffe's entry in the CTMH April Stamp of the Month Blog Hop, Ballloon Talk. The stamps were placed backwards on the blocks to achieve the color blocking. The word "Hi!" and the flowers are from CTMH retired stamp sets. Thanks, Toni, for the color blocking idea. This was fun. 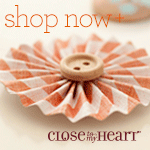 To see what fun others have had using these colors visit Color My Heart Color Dare. What a clever idea to use Balloon Talk as background shapes for the flowers. I love that idea! Thanks for playing along with Color My Heart this week. I hope you can join us again soon! I love your colored quote balloons, Kathy. Great idea! Thanks for joining the Color Dare this week.